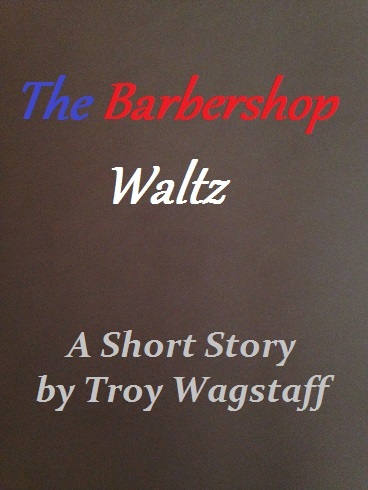 Short Stories | Troy C. Wagstaff aka CallahanWriter Blog: Topics of interest include Western Historical (1865-1899) Topics. Additionally inspirational Christian and Fibromyalgia interests. A massive pressure was bearing down on my throbbing back, trying to force me toward the sidewalk, creating an overwhelming urge to drop to my knees and crawl to the pay phone. Using sheer willpower to call on every particle in my body and with urgent prayer, I forced myself to walk three car lengths to the phone booth so I could make an important phone call. With every excruciating step, it felt as if my feet were filled with red-hot marbles and each bone and joint was rolling over these searing spheres of boiling pain, all the while my feet felt like they were being gnawed on by ravenous wolves. My calves felt so tight, that the next step would snap the muscle. In spite of the chaotic numbing pain, I made my phone call. Looking at my 1984 blue Chevy Chevette, I wondered how I would get back to it. Would angels come down and bear me up? Sweat was rolling off my forehead and my white cotton shirt was getting more wet by each passing heart beat. I loosened my tie as a wave of nausea came over me. Stepping forward, I felt a power pushing me slowly ahead, against a conflicting force driving me to my knees, and with every bone crushing step onward, I was one piercing pain closer to getting off my feet and in my car. At that time, I was working as a salesman at a local Color Tile. This meant standing on my feet, on a concrete floor, eight to ten hours a day. The only respite would be an occasional sales call where I could sit in my car for a time as I drove to my appointment. Before the onslaught of pain hit, I was excelling at my job and was consistently the store’s top salesman and occasionally the regions number one salesman. I was considering a career in sales. Life was going great. I had high hopes for my future which included going to college, getting married, and having children. I looked forward to skiing in the winter and fishing in the summer. I wanted a healthy active life with a family and a good career. Then along came this episode of painful suffering. As time went by, the pain continuously grew worse. Nothing I could do, including aspirin and Tylenol would help. By now the pain was wearing me out. I was walking hunched over with a shuffle. I was no stranger to pain. In the past I had gone through five brain concussions, a few broken bones, one head injury that created a very short spell of amnesia and cracked my skull. I had been through at least six surgeries and countless stitches. Every time I fully recovered. I expected that whatever this pain was, it would go away. It always did, or so I thought. As four pain filled months rolled slowly by, the pain would ebb and flow. With time rolling on, my pain-free days were less frequent and my pain filled days occurred more often. I could see I wasn’t getting better and the pain was taking a heavy toll on my life. All I was doing was sleeping and working, working and sleeping, day in and day out, week in and week out. Time moved slowly and painfully forward with no light at the end of the tunnel. After several agonizing pain filled months I finally decided to seek medical attention. Since my feet were the primary source of pain, my first stop on the pain train was to see a podiatrist. He took a mold of my feet and sent me a pair of inserts for my shoes. This would “fix me up and take away the pain” he claimed. I tried the inserts as directed, they didn’t help and the pain worsened. The next whistle stop, on the pain train, was going to a general practice doctor. He did nothing but refer me to a Rheumatologist. Two doctors down and still no medicine for the crippling pain. On my follow up visit with the Rheumatologist, he told me I had Ankylosing Spondylitis (A.S.). He said this was a type of arthritis affecting young people. My symptoms paralleled A.S. almost perfectly. Oddly, I was excited to have arthritis. Now I had a name for the pain. I could be treated for it, and by the sound of it, live a reasonable normal life. He put me on Indocin, a strong anti-inflammatory. The Indocin started to reduce the swelling in my feet. Eventually the swelling stopped, and my feet looked normal. For the first time, in a long time, I didn’t feel like I would die when I stood on my feet. My feet were still in pain but far from the bone splitting ache of before. There was a trade off. While I had less pain, I was now drowsy much of the time. That was a small price to pay to relieve the agony. I could stand, walk and move about much easier, and sometimes pain free. I did have to give up my passion for running. I had enjoyed running twenty-five to thirty miles a week. It was during this partial respite from the throes of agony I feel asleep while driving that old blue Chevy Chevette. I was not wearing a seat belt and was thrown from the car through the wind shield about fifty feet. I had serious head injury known now as Traumatic Brain Injury, TBI. I also suffered amnesia from that event. I broke my shin. It was a multiple compound fracture and there was about five of six chunks of bone between the places were the bones protruded out of my skin. The small bone behind the shine was broken just above the ankle. My every single rib was severely bruised. The only good thing about this accident was the pain meds made not only my injuries feel all right but took away the pain in my feet completely, but that only lasted about a month. A month or two after the accident I was changed to a new anti inflammatory called Naprosyn. I started college in the fall of 1985. I was married in 1986. On the day of our wedding I got to stop wearing the brace for my injured left leg. About a year or two later I started to get headaches, light headed and nausea with funny sensations around my eyes, scalp, and various places on my face. Over time, I noticed when I didn’t wear cologne or hair gel I was fine. No one knew about chemical sensitivity back then. With some limitations, I was well into the life I had hoped for. No more skiing or rough housing with the guys and no more winter time activities as the cold greatly affected my pain levels and the ski boots hurt my feet. Thankfully I was still able to go fishing. I was able to deal with the few life changes I had to make, at least for that time period. Every so often, over the course of the next seventeen years, I would have throbbing pelvic and lower back pain when I stood too long or got too little sleep. I would also get a painful burning sensation in my spine and back. I would have occasional flare ups with foot pain. This was normal for an A.S. patient according to my Rheumatologist. I also noticed in the mid 1990’s that whenever I started a new exercise routine I would get sick. 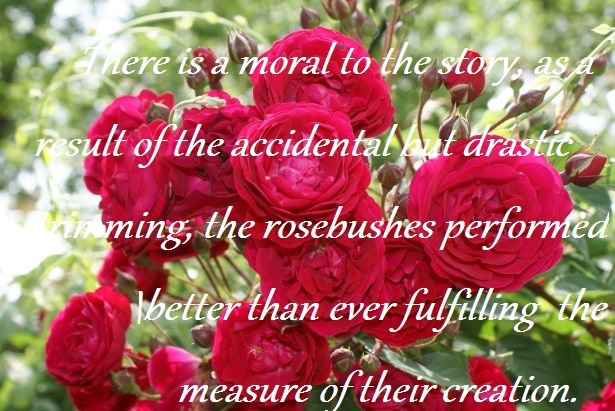 Life was going on and my wife, Colette and I had been blessed with three daughters. I had a great job and we were in our third house working our way up the mortgage ladder. As December 2003 came around, our quite, happy life came crashing down around us. As a result of severe abdominal pain, my wife was given a colonoscopy, the doctor found a tumor blocking my wife’s colon. She was diagnosed with colon cancer. Because of the blockage, emergency surgery was the only option. The tumor and eighteen inches of colon were removed. As life came to a standstill and everything was put on hold, me, my wife, and my children’s lives had been forced to travel down a challenging road of despair and heartache we did not choose. After a few weeks she started chemotherapy that would last for most of the year. That was a prelude of things to come. When we should have been celebrating Colette’s victory over colon cancer, we were dealing with my health declining rapidly around September 2004. I started going through a resurgence of insidious pain. 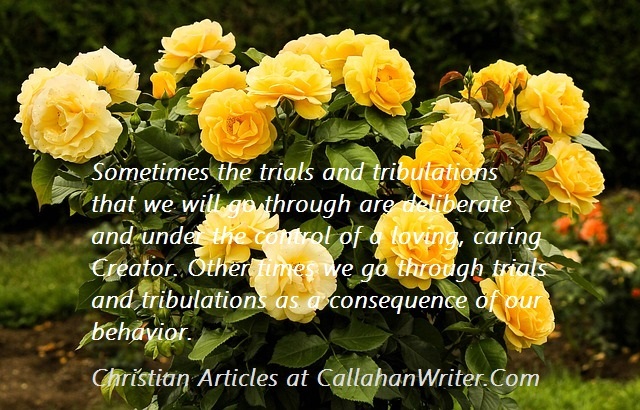 Every few days or weeks the pain grew worse, and with each flare up the pain would spread. Not only did my feet hurt, but so did my legs, pelvis, spine, and hips. Each vertebra felt like a hot coal sending burning sensations up and down my spine from the top of my neck to the end of my tail bone. This pain was a thousand-times worse than the bone crushing pain of 1984. The piercing wrangling pain in my neck seemed to want to strangle me. It sometimes hurt to swallow. With every move my neck made, I could feel a dull, piercing shock explode up into my brain. Each neck muscle would spasm with the smallest movement. The small of my back felt like the slightest wrong move would snap my body in half. My hips felt like sandpaper grinding in the socket, and I felt like I had a bad flu virus throughout my entire body. Every muscle in my body ached while my mind swirled in fog. After simply standing for more than a few minutes, my legs would give out on me. My knees buckled. My shoulders were heavy, very tight, and aching. The pain was so severe I lost some range of motion. I couldn’t even tie my neck ties. I could barely get a shirt pulled over my head. At first I tried to have a sense of humor saying that everything hurt except my elbows. After saying that a few times, I took a mental inventory of my body from the tip of my toes to the top of my head. That joke was actually true. My jaw hurt, sometimes swallowing took conscious effort. Every part of my body hurt except my elbows. After years of severe chronic pain I asked the common question, “why me?” That was a constant question coursing through my mind. “Why me, why all the pain?” All this agony didn’t just occur one morning out of nowhere, but almost. Within about six weeks I went from typical arthritis pain to throes of agony, literally taking my breath away. My sternum and ribs hurt. The ER said no heart attack. I also found out I had acid reflux. With the reflux treated, my chest and sternum only hurt when I breathed. As I walked, the muscles in my lower back would catch, making my body jerk with every step I took. My spine burned and cramped whether I was moving or not. The muscle spasms in my neck felt like my head was being pulled back, yet my head hung forward. My body was full of contradicting pains and sensations. I was angry and confused, why was I having all this pain and suffering? I had tremors in my forearms all the way to my hands. It was noticeable when holding a spoon or fork. My Dad had Parkinson’s disease, and I knew the symptoms well. I was afraid I had it with the difficulty swallowing, the tremors, and the stiffness while walking. There was no logical rhyme or reason to the pain I felt. Confusing, chaotic and contradicting soreness coursed through my body. Even my fingers were numbed from the nerve pressure. Sometimes part of my back, chest, or neck would go numb from the spasms. I felt like I had the flu, the worst possible flu you could imagine with the typical body aches amplified by infinity. No, this is not an exaggeration. I went to my family doctor several times for flu like symptoms. A couple of times they did blood work to see if it was a virus because the symptoms wouldn’t let up. My wrists hurt so badly that several finger tips went numb. They tested me for carpal tunnel syndrome. I was fine in that area. My knees were x-rayed and I received a CT scan due to the bone on bone sensations. I started to develop insomnia. When I was able to drift off, the pain in my back would wake me up. My lack of sleep became worse. I was afraid to wake up because I would hurt so badly in the morning. It was more than morning stiffness, it was back breaking pain. My doctor sent me to a Rheumatologist. After six or seven weeks of writhing agony the day of my Rheumatology appointment arrived. My wife and I got there early and it was a good thing. From the parking terrace and through the long hallway in the medical office it was a very long walk. I was breathing heavy and sweat poured out of me like Niagra Falls. I thought I would die. Because it hurt my neck to hold my head up straight, my wife held my arm and guided me. He said, “that is good news. Not having Ankylosing Spondylitis is good for you. If you had it, you would be miserable for the rest of your life with your spine bent forward and fused together.” Many A.S. patients end up with their spine naturally fused in a bent over position not being able to lift their neck up. “After twenty years of A.S. you should have had a well-defined bamboo spine.” He went on to explain that I did not have the famous ‘bamboo spine’ that advanced A.S. was also known for. I was in shock with this revelation, having spent the last twenty years with what I thought A.S. He examined me further by poking and prodding me in a myriad of places all over my body. It felt like a ball-peen hammer hitting me everywhere he pushed. He was testing the eighteen trigger points of Fibromyalgia. The sensations ranged from searing and burning pain, electrical shooting pain to bone cracking pain, from a throbbing pain to a dull, drop to your knee’s pain. A great many of these places he poked caused me to involuntarily flinch or moan. He asked some question’s and did some diagnostic testing that I don’t remember. 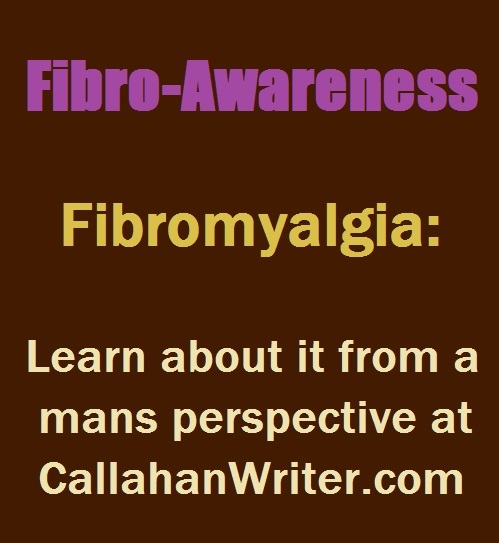 He then said “you have Fibromyalgia.” At that point all I knew about Fibromyalgia (fibro) was what I had heard from a pediatrician. He said it was like having arthritis in your muscles all over your body. The Rheumatologist said the pain would ebb and flow between major flare ups and low grade pain. “What do I do for it? What medicine do I take?” I asked. “I hope you like the water because you’ll need to swim every day,” he responded. By now he was opening the exam room door giving us an obvious hint that we were done. I said, “that’s all you can do? What about all my pain? You’ve got to do something for that? !” His response reflected what they knew about Fibromyalgia at the time. It was real, it was painful and there’s no recommended course of treatment. I was so enraged I didn’t thank him or say anything more to him. I stormed out of his office in a hunched old man shuffle. I got in the car and realized that for the last couple decades I had Fibromyalgia and not A.S. But why now, after all these years, why was I in so much pain? Nothing had changed but the diagnosis. I was confused. Nothing made sense. I was no closer to a solution. Every moment of that past year and a half of excruciating pain came raging out of my eyes with salty water. Indiscernible sounds came out of my mouth. By now my head was on fire with pain and anxiety. I was again floundering in an endless sea of surreal existence with the waves of pain pounding on me with every beat of my heart. I was on my own trying to cope with the unknowable. How do you cope with the unknowable? I wasn’t able to cope with the pain in 1985 but I did cope with A.S. in 1986. Now my arthritis was taken from me and I was cast into a pit of fibromyalgia that so little was known about. Thankfully, I had a supportive wife and family. They did all they could. They couldn’t reach in and take out my pain. But in all other aspects, the loving support of my wife and kids and a few close friends helped a lot, mentally and emotionally. My life was spent in my recliner with a heating pad on my back. I couldn’t lie in bed because it hurt too badly. My insomnia grew worse yet again. I would get to bed at about seven or eight a.m. and sleep until nine or ten a.m.. I couldn’t run my business, at least I no longer had employees that would need to be fired. I tried to do research on fibromyalgia but found very little posted about it. Thankfully I was able to nap during the day. Throughout the day I would doze off for short bits of sleep only to be awakened by shooting pain in my spine. I would constantly adjust myself to ease the pressure and pain. I would pray a hundred times a day, or so it seemed, crying out for relief. My mind was numb, full of confusion, pain and disbelief. I heard about a pain clinic from a friend. I quickly made an appointment with them. We spent more time filling out forms than we did in the exam room. The doctor at the clinic was rude and calloused and said there is nothing that I can do for you. I was indescribably mad at him about his lack of concern and all the time I had wasted. I already felt doomed to suffer endless pain. This last event pushed me deeper into that darkening pit of despair. Profound torturous pain followed me for days upon days, weeks upon weeks, months upon months. I was bound to my recliner strapped down my paralyzing pain. There was no end to the agonizing debilitating misery. At this point there was no ebb and flow, there was no day off from suffering. This consumed my life day in and day out. Every minute of every hour of every day, pain, mind-numbing pain! My family brought my meals to me. I ate in my recliner. My world was bleak. I lived my world through TV and DVD’s. I was not able to read or even use my computer much because of the fibro fog filling my brain. I was rendered powerless to my condition. I spent a great deal of my life in a bathrobe. When I did get dressed all, I could wear were my sweats. Vioxx was off the market and I had no anti inflammatory that would help. By now my illness had taken its toll on my family. Everyone was on edge around me for fear of my reaction. Sometimes, for no-good reason I would yell or lash out. The fibro-beast dug deep down into the core of my body. It seemed as though that fibro beast traveled to the center of my bones wrapping its way around my muscles pulling tight and letting go, over and over again. The pain would make me sick to my stomach and I often took shallow breaths causing me to be light headed until I could somehow force my self to breathe deep. Between daytime pain, fatigue, and nighttime pain coupled with insomnia, my life was somber. While I never considered suicide, as so many do in similar positions, I did envy the terminally ill, at least with death they had a light at the end of the tunnel. Sometimes my prayers seem to fall on deaf ears. Other times I felt at peace. I knew there was some point to all of this. My faith in God gave me long term perspective throughout the illness. I knew it wouldn’t always be this way. Somehow, during all this time, it didn’t register with my best friend’s wife to tell me about the pain clinic she was going to. Of course, she was in her own world of chronic pain. Thankfully, one day she mentioned it. I got the number for Dr. George and called his office immediately. I was scheduled for a new patient appointment at their next opening. As I was anxiously biding my time waiting to see Dr. George, my wife was having a sleep study done. The sleep lab was located in a neurologist office. While waiting to be brought back to her bed, she read a pamphlet about MS. Later she told me about it. It seemed like many of my symptoms resembled MS according to the pamphlet. We called that neurologist’s office for an appointment. A week and a half later Colette was filling out a myriad of forms as I tried everything I could to get comfortable in Dr. George’s office. Finally we got in to see the good doctor. I was amazed at his perspective and contagious positive attitude. He was like a kid in a candy store. He was so excited to see me and to get to the bottom of my pain. He was more passionate about his job than I have ever seen in anyone, anywhere in my life. I was a crime novel and he was the lead investigator. At hearing this declaration, my heart truly swelled, “Hallelujah, Hallelujah! Thank God, Hallelujah!” I know that sounds dramatic, but that’s how it felt to hear those words. That was music to my weary and painful ears. Yes, even my ears hurt. Because of the pain improvement, I began to notice other symptoms of Fibromyalgia that had been buried underneath all that pain, but due to the intensity of the all consuming pain, I hadn’t noticed all of them. Dr. George did some x-rays and CT scans. He discovered some bulging discs and a few degenerative discs and arthritis in the facet joints of my spine. He explained how the pain from disc and arthritis issues could normally be treated with Aleve and muscle relaxers. 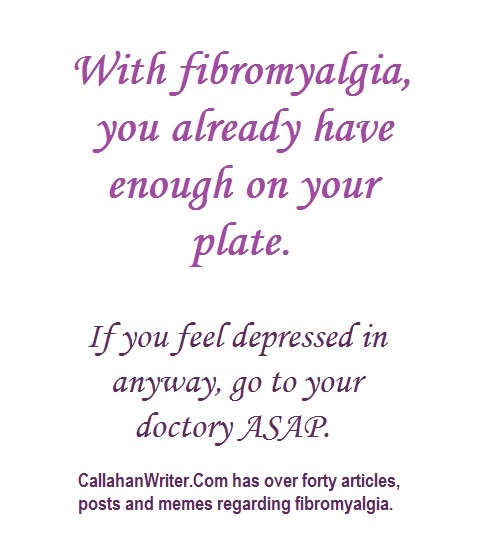 But not with fibro patients, simple ordinary aches and pains feel much worse. 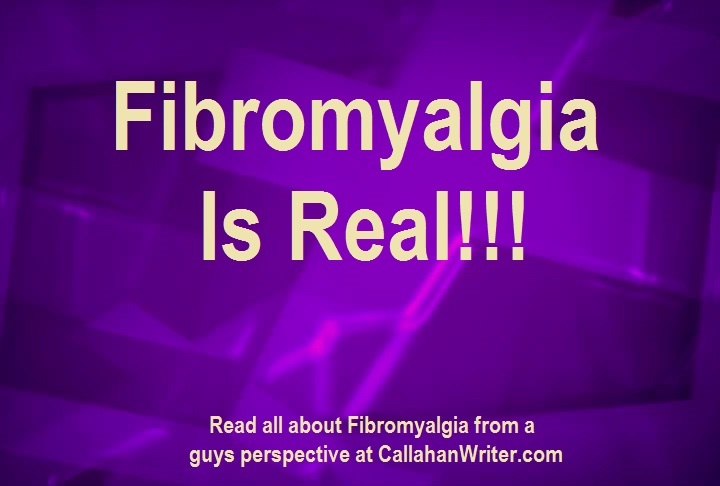 Fibro patients are far more sensitive to pain signals than the average healthy person. A paper cut would feel like getting sliced with a sharp knife. When my wife would gently nudge me, it could feel like getting stung by a sharp hot poker. Pile It On – I Can Take It? Several weeks had past from my initial appointment with Dr. George and now I was able to visit the Neurologist. A typical neurological exam was done, followed by blood work, x-rays and CT scans. Those were followed up with an MRI which found several white matter lesions on my brain. Those results made the doctor think about the possibility of MS. To confirm MS, I would need a spinal tap. Her partner was a Naturopathic Doctor (ND). This ND was fantastic. She took the most exhaustive medical history of my life. She did more blood tests for specific diseases like Lyme’s disease, Epstein Barr virus (EBV) and some viruses and illnesses. Long story short, I was diagnosed with Epstein Barr Virus (EBV), Cytomegalovirus (CMV), Chronic Fatigue, white matter lesions on the brain, severe insomnia, extremely low testosterone and some minor problems with my thyroid and pituitary glands. She treated me with both traditional pharmaceuticals and nutritional supplements. The viruses and brain lesions seemed to be unrelated to Fibromyalgia, the just added more poor health to my plight. In time those viruses went into remission. Many of the emotions that fibro patients deal with were now mine to tackle. The truth is, the fight against those feelings is as ongoing as is the illness itself. By now we are nearing the end of 2005. Dr. George also put me on a Tens machine. A Tens machine is an electronic simulator sending electricity to your muscles through four leads that stick to your skin over painful areas. The idea being that the electricity disrupts the nerve signals going to your brain. The brain doesn’t recognize these nerve signals which trick the brain into thinking there is less pain. I was now at a point where I could sometimes manage my pain and some of the other symptoms. 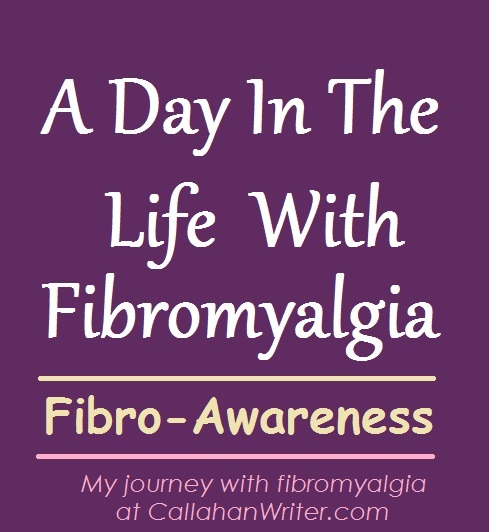 Having the ability to fight back against Fibro after all this time was wonderful. I had pain every day but there were times when the pain was actually tolerable. Finally I could leave the house to do things other than going to doctors appointments. Now, on occasion, I could sometimes go to church, the movies or even go out to eat if I was having a good day. Most of the time I was still “bedridden.” Which for me, meant mostly sitting in my recliner. I knew I had Fibromyalgia for almost two years. Because of the overwhelming, life altering pain since October 2004 I had not been able to work. I couldn’t read very much because of trouble concentrating. I thought the concentration problems were from the severe pain and some of it was. But there is another symptom of Fibromyalgia called fibro fog that affects cognition, memory and concentration. For the better part of those two years, I would try everything I could do to get comfortable. Warm blankets, hot showers when I could, heating pads, prayer, prayer and more prayer. Finally my prayers were being answered. With all the diagnosing done and treatments started, I went from feeling like I was in a stretcher, then improving to a wheelchair, and on good days a walker. In spite of some good improvement, I still couldn’t work for more than a couple of hours, even on the computer. On a good day I might get two or three hours of work done over the course of ten or eleven hours. I was happy to be sitting a good part of the day rather than lying down for twenty-four hours a day. Now I could concentrate on more than just pain. I started feeling gratitude for my improving health; yet, at the same time I found myself going through the emotions of worthlessness and isolation. When I was in the throes of pain, I felt “isolated and worthless” but because the pain was so severe I didn’t care. The unbearable pain was all I could think about. Now that the pain was somewhat manageable, I was able to think about an uncertain future with a chronic illness that no one knew anything about. During this time I was being rudely introduced to many unknown and unwanted emotions that came with chronic pain and associated symptoms of Fibromyalgia. Despair and melancholy were unwelcome visitors to my mind as were confusion and loneliness. I was going through a form of grief. 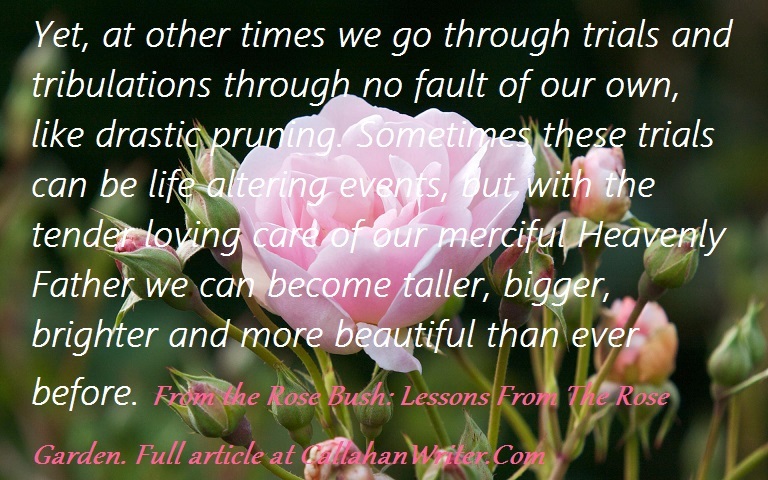 I mourned the loss of my past “normal life” while I was trying to adjust to a new life style of chronic pain, insomnia, chronic fatigue, fibro fog and other fibro symptoms. I finally came to grips that the fight for my life was now a draw. I didn’t win, but I hadn’t lost. I couldn’t recover from it, there was no healing, but I could learn to manage it with the help of proper medication. Now the fight is to manage the illness rather than beat it. Even most of my own siblings thought I was making it all up to get out of helping with my sick mother. Other people would imply that I should be better by now. While those unkind and rude responses did make me feel bad, I was learning on the Internet that there was this concept of “invisible illnesses.” People looked healthy and fine but inside they were racked with pain or illness that didn’t show on the outside. Still, for people to think I am making it up and that Fibromyalgia wasn’t a legitimate medical diagnosis made me angry and conflicted. In spite of all that I was going through, I found that life goes on. The biggest challenge was when my wife was diagnosed with Breast Cancer. The next few weeks were filled with consultations, exams, labs, scans and a funeral. I consulted with my pain doctor and told him what was going on. He increased the dosage of my pain meds. He was genuinely concerned for my wife and me. He explained how stress can cause flare ups. He went so far as to say that I needed to pace myself, not to ignore myself. I would pay a stiff price if I overdid it. Finally, after a few hectic weeks, Colette had her operation which lasted about eleven hours. I found myself doing things I hadn’t done in years. I went through long hours at the hospital only to repeat the process the next day. I took my meds very regularly. That helped a little. My wife was in the hospital for more than a week. I visited her every day for most of the day. Several days later my aching back woke me up like an alarm clock but that day was a very different day. I could barely get out of bed and when I did I could barely make it to my recliner. I could hardly move and my pain meds didn’t seem to help at all. I had crashed and now I was burning. It was just like what the pain doctor had warned me about. Emotionally it was very difficult, but I had to call my wife at the hospital and explain my situation and told her I couldn’t get out of my recliner. I couldn’t go to the hospital to be with her. I had no energy. I felt like a failure because I couldn’t “man up” to be at my wife’s bedside after all she had done for me. There was no will power left. Here she was fighting for her life and recovering from an eleven-hour surgery. I was forced by some unseen and overwhelming power to be bed fast. Bless her sweet heart, she was understanding and luckily she had one of her best friends with her for the next several days. She told me to take a few days off until I felt better. Colette went through chemotherapy and radiation therapy. Among the many side effects of chemotherapy was exquisite pain from the core of her bones. She would desperately cry out to rub her feet or legs and as soon as I gently touched her shin or foot she would cry out “stop!! !” It hurt her skin for me to even touch her. She was out of her mind with pain. Being a fibro patient with chronic pain, I had extreme empathy for her and all the pain she was going through. Her pain stressed me out and that made my pain worse. But I didn’t care. It was all about her with colon cancer, it was all about me with my pain and fibro, and now it was all about her with breast cancer. I learned that stress can cause pain or other health issues. Fibro patients are hypersensitive to all types of pain. This means that stressful situations can reek havoc for fibro patients. As people came by to help or check on Colette, some would make two-edged comments. On the one hand they seemed to feel sorry for me and on the other hand their comments carried an under tone of judgment and disbelief of Fibromyalgia. I should be doing more to help my wife. Colette got all the help and support she needed while I got awkward and judgmental comments. She beat breast cancer, twice a cancer victim, twice a cancer victor. I got a letter in the mail that told me Dr. George had sold his practice and I would now be a patient of another pain clinic. Luckily I had an appointment with Dr. George’s clinic a few days later. While I was waiting to see the PAC in his office, I saw Dr. George walk through the waiting room. He sat down opposite of me and we chatted for a while. I asked about the selling of his practice. He had to sell the practice because he had advanced prostate cancer and the prognosis was poor. He was going to get involved with experimental therapy and couldn’t run his practice any longer. I was able to give him my sympathies and thanks for turning my life around with his aggressive style of treating pain. I moved onward in my journey with Fibromyalgia with a new pain clinic that had two doctors and numerous PaC’s. This new pain clinic was very large and not nearly as personal as the previous clinic, but they also had other methods for treating pain including a physical therapist and Psychologists on staff. I learned that Dr. George had passed away about a year or so later. Now, I am in day-to-day management mode with Fibromyalgia. While I have some power to manage the illness, I do not control my destiny with it. I have to give and take with this dreaded disease. I have to make the most out of good days without overdoing it. I am disabled and I have a new life style that I am still getting used to. With no cure even close on the horizon, I have had to let go of whom I was and become something different. I’m still figuring that out. I’m learning to live on a smaller scale so I can have a life, not the life I assumed I would have but a life that’s better than being in bed every day. Although there are still days where the recliner is the only option. 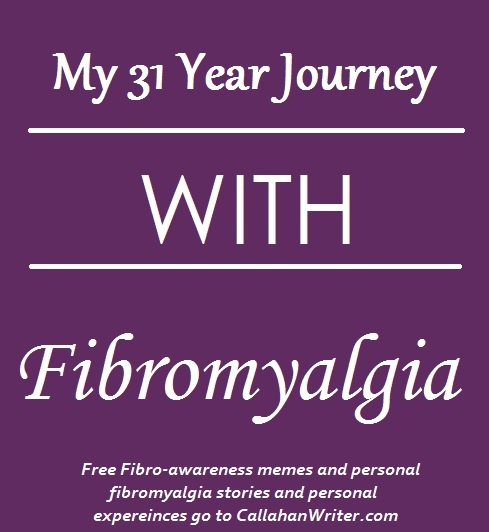 Dealing with fibromyalgia the last eleven years has been a life time of its own. Looking forward makes me wonder what comes next and how will I deal with life? Now that I have experienced a separate life of sickness, the future looks different, not pretty, but not ugly. Troy Wagstaff © Copyrighted, All Rights Reserved. Thump! Thump! The “caller” was banging on the wooden door of the Murphy’s small cabin. It was midnight but this was urgent business. In a nervous hurry, the caller barged into the small cabin and loudly called out Clive’s name with no regard to anyone sleeping. “Duncan! Is that you? !” Clive Murphy said with a scowling yell. 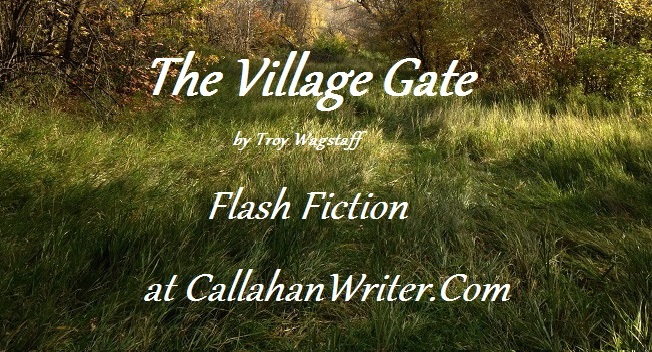 “Clive, get your gear, troubles brewing at the Village gate. Meet us at the school house.” As if to punctuate that sentence with an exclamation point, Duncan slammed the door shut. As Clive was preparing to leave, Doria told her husband “you tell Duncan to knock next time! He better never barge into our house again! I don’t care if our village is under attack by the Unknowns or not. Next time he knocks or he gets shot!” Since the Murphy’s were a part of the Protection Society, Clive was obligated to go when requested, day or night, no questions asked. Doria Murphy, was clanking around the kitchen getting breakfast started when her little ones woke up from a fitful sleep. Clive Jr. (CJ), the oldest came bounding down the loft. “Ma, why didn’t you wake me up when you got up? I should to be tending to the livestock, with Pa gone” said CJ as he was getting his coat on. “You’re right CJ, I should have thought about the livestock . . . ” her words trailed off as CJ left the cabin. In truth, Doria was thinking about her husband’s involvement with the Protection Society. The cabin was almost shaking as the winds picked up. The wind sounded like shrieks and mournful wailing. The wind would then calm down revealing a peaceful early morning only to send autumn leaves up in the air in a swirling pattern with harsh sounds of tools and scraps of woods pounding on the barn or cabin. There seemed to be a strange rhythm to the wind gusts. By now it was breakfast time and the cabin was engulfed with the sounds and smells of bacon on the frying pan. The wind gusts had died down. Since Clive had not yet returned from the Protection Society at the village gate, Doria couldn’t help but think “this time they must be fighting the Unknowns.” That thought a worried Doria. Many times the Protection Society had been called to arms to protect the village from the Unknowns. Until now, a show of force seemed to keep the Unknowns at bay. The Protection Society had never actually fought the Unknowns and they usually were home by morning. Since it was past his usual arrival time Doria was concerned a real fight was on. How would they fare? They didn’t really have any fighting experience. Doria had just placed the last strip of bacon in the frying pan and wiped her hands on her apron, peering out the window she saw Maggie with her red braids floating in the air as she raced out of the chicken coop with her egg basket curiously empty. While cleaning the frying pan that burnt the bacon a flood of questions came over Doria as she wondered what her husband might be doing? Was he in any danger? Could he be dead? He was a strong hard-working man but he was a peaceful man, did he have a killer instinct to kill whatever was threatening the village? “It’s in the barn,” his Ma replied as she walked past CJ and closed the door against the cold autumn wind as it started to batter their cabin. “What do you mean Ladd’s loose? Your father rode off with him when the Protection Society came calling last night!” Doria had a feeling that something wasn’t right. With her husband off fighting the Unknown, all the chickens dead, Clive’s horse on the loose, despair and foreboding filled her senses. Dusk had settled in and the cold wind was still battering the small wooden cabin. Maggie put on her scarf and coat and then she ran straight to the barn like she was told. Bursting though the wooden doors, she startled the livestock. Her brother CJ was bent over a heap of a person with bloody clothes. “Maggie, come quick, over here!” Yelled CJ. Andy’s Barbershop was the local gathering place for all the men who lived in the small town of Woodington. The men would come in for a bottle of soda pop, some gossip and a hair cut. Andy’s was the only place in town with a radio. Andy’s had a barber chair and a leather razor strap anchored to the counter. The counter had space for the tools of the trade and a sink. There was a large ornate mirror for the client to look at after his hair was cut. The other side of the narrow barbershop was lined with chairs and a coffee table with magazines and books. The shop was deep and narrow. At the back end of the shop there was a pool table for some of the men to use while they waited their turn at a haircut. Andy’s even had an indoor water closet, one of the first buildings in Woodington to do so. The barbershop was especially popular during the noon hour were both men and women crowded to hear the latest news. On Saturdays, Andy’s was packed in the afternoon to hear the sports scores. The men would smoke their cigarettes and drink their moonshine while playing pool and listening to the radio while waiting their turn for a hair cut. On Saturday nights the pool room was opened to the community for dancing. The townsfolk would get dressed up like they were going to Church and meet at the barbershop to dance. What made these dances unique was that while the rest of the country was caught up in the Foxtrot and other popular dance moves, the town of Woodington preferred the old Waltz. During the week Andy’s barbershop opened at 7:30 a.m. to give the regulars a shave. It was at Andy’s place where the men of the town first heard that the United States was going to war in Europe. It was the same place that everyone heard the announcement of the Armistice on November 11, 1918. Jim Banack was a regular at Andy’s from the time he was a small boy until he went off to war. Jim was born in Woodington. As far back as he could remember, he got his monthly hair cut at old Andy’s barbershop. Jim was 13 years old when heard over the radio that prohibition was officially over. “What does that mean, that prohibition is officially over?” Asked Jim. Jim’s dad said that “it means the nation can now drink alcoholic drinks” as he sipped on a cold beer. Jim was a little confused. More than half the men in the crowed barbershop were drinking moonshine or a beer. Jim even did odd jobs for the barber during the depression. There were no jobs to be had but Andy would pay Jim to run errands. He even got a free haircut once a month for the help he gave. Jim fell in love, got married to Alice and they celebrated their wedding reception at Andy’s Barbershop. If Jim had his way, they would have exchanged vows at the barbershop. A couple of years later James Jr. blessed their marriage on March 31, 1930. As soon as James Jr. had enough hair to cut Jim took him to see old Andy. Andy put the first lock of hair on some wax paper and folded it up nicely for Alice. Getting a hair cut at Andy’s barbershop was a monthly tradition for James Jr. as well. In fact, it was at the town barbershop on Monday morning that Jim and James Jr. First heard the news that the Japanese bombed Pear Harbor the day before on Sunday morning. News was slow getting to the town of Woodington with only one radio, and a weekly newspaper. James Jr. all of eleven years old declared that he would be going to Albany to sign up to fight “the Japs.” Jim and Andy chuckled. It wasn’t too long after that episode when Jim Banack was drafted into the Army. Two days before Jim’s induction, the town gathered at Andy’s barbershop to give him a farewell party and a traditional town waltz. “That was March 31, 1942 my daddy went off to fight the Germans in North Africa,” said James reflectively to his daughter Lilly. “In fact, it was the last town waltz Woodington ever had at Andy’s Barber shop” James went on to say. “I still went there for my monthly hair cuts. But after my dad got killed in North Africa, old Andy seemed to feel to old to host the weekly waltz. I think he took the death of my father very hard, I think part of Andy died when my Dad died,” said James Jr.
“It wasn’t long after that, old Andy retired and his son took over the barbershop,” remembered James. “Don’t tell me Dad that you were getting a haircut or shave when they dropped the atomic bomb in Japan” asked Alice. “What about two days later when the second bomb was dropped on Nagasaki? You couldn’t have been there since you already had you hair cut for the month” stated Alice, as if she caught her Dad in his tale tells. “What else can you tell me about the history you lived through dad?” asked Alice. She was working on a high school history paper. “Were you at the barbershop when Kennedy was killed?” Asked Alice as she tried to show of her history knowledge. “No, we moved from New York about a month or so before Robert F. Kennedy died.” Replied James. “I am interested in this barbershop you keep mentioning, could we go there on a long weekend trip?” asked Alice. Time goes by as it always does and before long Alice, who never married, was 57 years old and had the summer off. She was a history teacher. She decided to take a bus ride out to Woodington and see what was left of that old town so near the Catskills. It was dark as she got off the bus at the Woodington bus stop. Not much had happened in this old town. It wasn’t a ghost town but in the dark, it sure looked like it. She walked quickly through the darkly lit streets of downtown Woodington and turned the corner only to notice that the only lights illuminating the entire block were from the old barber shop which had been vacant for years. There was a loose sign hanging from the brick wall that faintly read “Andy’s Barbershop.” Even the barber pole was slowly spinning in the dark. “That’s it,” she thought to herself. “That’s Andy’s barbershop.” Intrigued by the only lights illuminating the entire block, she walked closer to the barbershop. It was clearly run down and had all the evidence of being vacant for decades. “Why were the lights on?” Alice thought to herself. When she got to the window and looked inside, she was shocked to see a myriad of couples . . . waltzing. She stood there looking through the large glass window for several minutes until someone inside made eye contact with her. Alice was shocked at seeing someone she knew . . . but that person was dead. She buried her mother ten years ago. Now there she was, in a long fancy gown. She watched as her mother tugged on the arm of a man in a nice black suite. He turned around to look at his wife and saw Alice through the window. Hand in hand, both her father and mother walked to the door and motioned for her to come inside. Alice, feeling stunned with a dose of disbelief, walked into Andy’s barbershop. She felt a little tingle of warmth come over her which caused her to look down. As she did, she noticed a beautiful vintage gown in place of her sweat shirt and jeans.